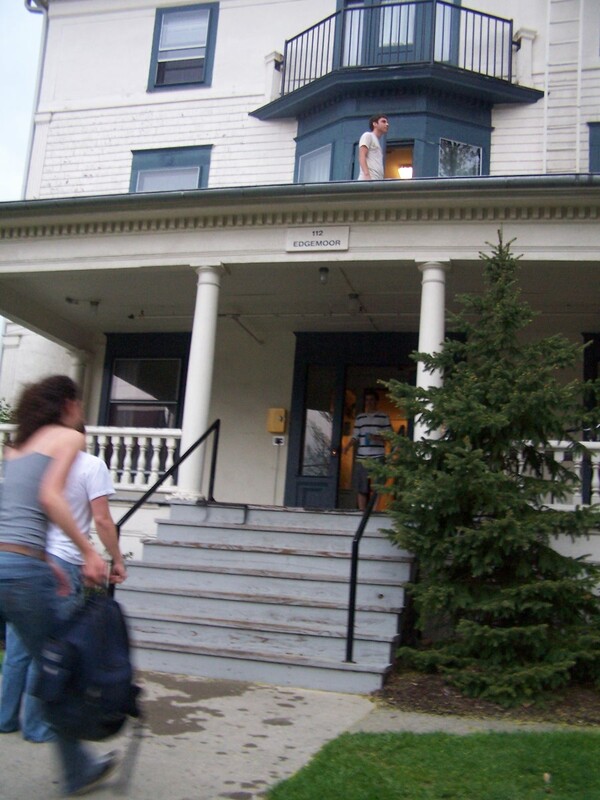 When this blog started, I think Alpha Tau Omega (henceforth ATO) was the first renovation in progress that I had ever taken note of, in mid-summer 2008. Here was a before pic, which dates from July 3rd, 2008. Here’s an after pic, which dates from August 15th, 2008. The house had had structural issues that were fixed before this blog started, and the external renovations were finishing up when the first photo was taken. I assume the repaint was all that was left to do. 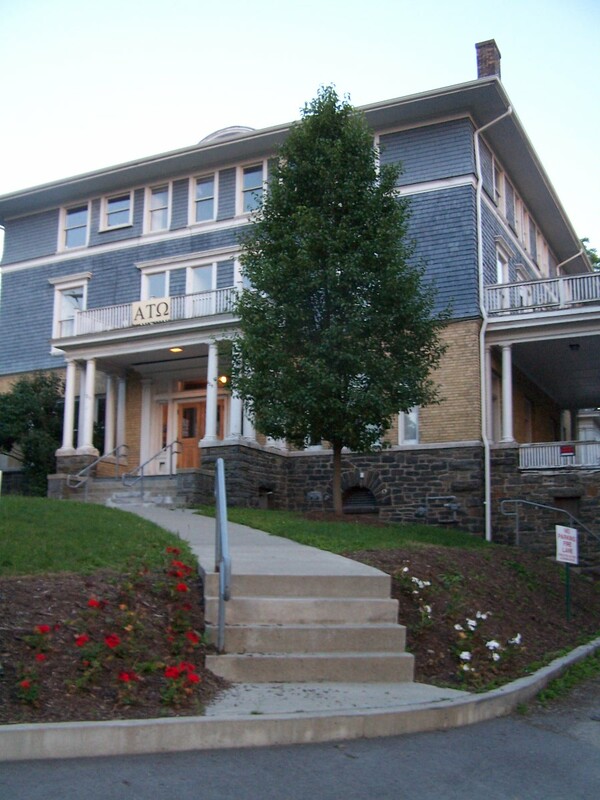 ATO was one of two fraternities that closed in the summer of 2013, the other being Zeta Beta Tau (ZBT). In both cases, the closing was called for by their nationals, who were displeased with the quality and conduct of their Cornell chapters. 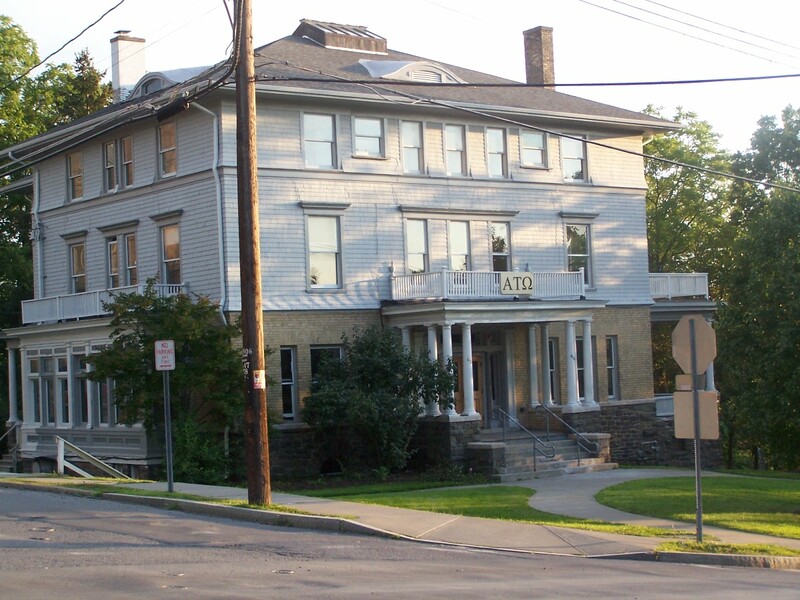 This article notes that ATO’s alumni group hoped to rent the house to graduate students while they wait for the chapter’s return (generally, that means that all the once-current members have graduated). ZBT is targeting a return in 2014/2015. The process isn’t new, Kappa Sigma did the same thing from 2010 to 2012. I’ll even go as far as to suggest that someday, another couple years from now, Sigma Alpha Epsilon will make a return to Cornell, though Hillcrest is being used as a dorm in the meanwhile (I dunno if they’ll ever be back in 122 McGraw, which is owned by Cornell; I tried checking Kappa Sig’s house for reference, and couldn’t find anything. But I do see that they liked my photo so much it’s on the front page of their website, guy standing on the roof and all). Anyway, reading the Cornell is leasing the house for the upcoming year is no big surprise. In fact, it brings back memories of my friends in 112 Edgemoor. Edgemoor was a fraternity house until 1985, when Triangle closed. Being purchased by Cornell some time earlier, it became a small dorm. The fact that most of my meteo friends even ended up in Edgemoor is kinda my fault. A bunch of my meteorology classmates wanted to go in together on a suite on West Campus. When I found out I would have to be on a Cornell meal plan, I balked; I wanted to be on my fraternity’s meal plan for dinners and manage my own (cheaper) lunches. When I caused that suite plan to fall through, a lot of them went into Edgemoor, and a couple others gravitated towards that group and moved in as well. I think meteorologists and their friends made up about half of Edgemoor’s residents, and there were about 21 at the time. I spent more time there than my own dorm (and Cascadilla and Edgemoor were close to each other at least). It was a nice house, but from my own observation, almost everyone else in Edgemoor saw it as just a place to sleep. For the student in the article that hopes for more intimate social connections, I would set the expectations low but hope for the best. For the record, I don’t have high opinions of ATO either. Some years back, ATO thought it was a good idea to take my freshman roommate to Kuma Charmers as a rush activity. He came back with bruises on his legs from what he described as the worst lap dance ever. My roommate ended up joining a different house. Furthermore, I went there once to meet him after one of their events, and the inside of the house was in shambles, with a giant pile of wood furniture tossed helter-skelter in a corner, and broken glass everywhere. So someone describing the house as a health hazard is no surprise either. I think that unless people already have connections to their housemates, that the intimacy of non-specialized small group housing is overrated; upperclassmen have generally built their social networks and have their coteries. I don’t imagine Cornell’s thrilled to have to clean house, nor ATO to have it occupied by someone that’s not an active membership. But this is better than an empty house, the cleanup is appreciated, and I suppose that at least a couple dozen fewer people won’t have to do the manic search for off-campus housing.